Class 4, Class 5 & Class 7 MOT testing. 4 Wheel alignment service to prolong the life of your tyres. Air-conditioning service for your vehicle, bookable online. We are a local, independent garage offering all the services available at main dealers at a fraction of the cost. All parts fitted come with a nationwide 12000 mile or 12 month guarantee giving you, the customer complete peace of mind. All repairs and services are carried out in accordance with the manufacturers guidelines and due to block exemption we can work on any age of vehicle, and we will never carry out repairs on your car without your consent. Take advantage of our online booking system and book your MOT with our garage any time of day, in just a few easy steps. Simply enter your vehicle registration and choose the MOT test to suit your vehicle. You can then select a date and time to suit you and enter a few details so that we can send your booking confirmation directly to you when you hit submit. A Class 4 MOT will cover most passenger cars and public service cars, extending to motor homes and goods vehicles with 3000kg maximum gross weight. For passenger vehicles with more than 12 seats, we offer a class 5 MOT, and for goods vehicles between 3000kg and 3500kg, we are able to carry out a Class 7 MOT test. For more information on MOT testing Classes, head to the .GOV website here. Book tyres online with Auto Save. 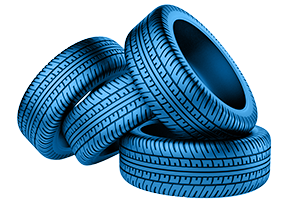 You can search for tyres using our live online booking system. You can search by either entering your vehicle registration (and we'll give you a list of available sizes for that vehicle) or you can enter the exact tyre size. You'll then get to view a real-time view of the stock available and select how many tyres you require. You'll then be able to select and exact date and time to come and get the tyres fitted and we'll settle up payment once the tyres are on your vehicle. If you would like to speak to someone instead, just give us a call on 01626 362010.